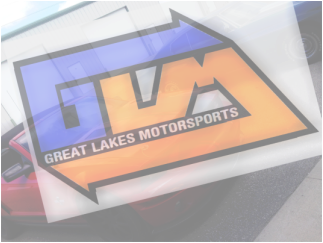 Great Lakes Motorsports is an affiliation of drivers dedicated to winning and promoting all types of motorsports and its products. Our race team has multiple championships, and with award winning drivers we are never far from the front . From this team we test, tune, and provide our products to help our consumers receive the results they want! Are you looking to spend more time driving your car than under its hood? Great Lakes Motorsports Is located In Bay City Michigan. We are a motorsports development team that can help you all the way from ordering parts, to building your dream vehicle. We specialize in testing, ECM tuning (DIESEL & GAS), maintaining, and building performance vehicles. Also a major part of our business is providing performance parts. Some of these parts are but not limited to wheels, tires, lift kits, truck accessories, data acquisition, race suits, gloves, shoes and performance accessories for all vehicles. Along with quality parts we offer services such as driver coaching, arrive and drive programs, transportation, and support for your race team. Our race winning drivers and crew are the best around and will do everything to make your race experience something special. Here at GLM, our championship winning race team and staff want to bring you nothing but the best support and service. We back our products and service behind our own team and will follow our customers wherever needed to provide the best quality support possible.